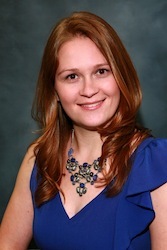 Karen L. DeSousa is a Paralegal joined Karsner & Meehan, P.C. in February 2002. She provides multifaceted support to the firm’s attorneys which include conducting case research, drafting complaints, discovery and other litigation documents, responding to case inquiries, comprising settlement demands, etc. Karen also assists counsel in trial preparation and works closely with clients. Karen is an active alumni member of the RWU Paralegal Advisory Board and sits as the Board’s secretary.